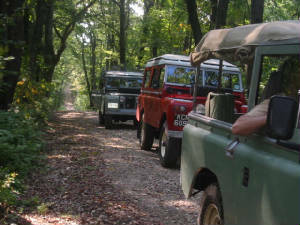 We keep Land Rovers running in deep woods and on highways. 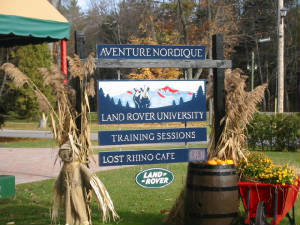 Land Rover enthusiasts, make better Land Rover Mechanics. The expert automotive technicians on the J. White's Automotive service team are true professional mechanics with years of automotive training, service and expertise working with the most advanced technologies including those needed to service, maintain and repair daily drivers, sports cars and Land Rovers. Our mechanics take pride in the work they do to each and every car, whether they are working on the family mini-van, the Toyota that gets your college student safely back and forth from campus, your prized Lamborghini, BMW, Porsche or Jaguar. Our automotive diagnostic equipment is state of the art, enabling our technical team to find to the cause of your fault codes and vehicle performance problems. The investment we have made in tools and equipment coupled with our dedicated automotive service team is what makes us an independent automotive repair and service business that our customers depend on and continue to refer to others. Our team strives to set new standards for an industry that has not always been environmentally conscious, recycling everything possible including used oil filters and using non-toxic cleaners in our shop and in our office. Recognized as "In Business for the Blackstone" , by The Blackstone River Coalition, we have adopted good housekeeping practices that minimize the risk of polluted stormwater runoff to protect the waterways. Our waiting room cups are made of compostable materials and we offer an employee Sigg reusable water bottle program to our employees. Our company is based on the belief that our customers' needs are of the utmost importance. Our entire team is committed to meeting those needs. As a result, a high percentage of our business is from repeat customers and referrals. We welcome the opportunity to earn your trust and deliver you the best service in the automotive repair industry. To provide the best customer service and value possible. To treat each car we work on, as if it was our own. To maintain and constantly seek new ways to do business in a way that has as little impact on the environment as possible. We partner with a network of automotive technicians who offer the benefits of years of mechanical experience gained from previous automotive service positions and companies who are willing to bring their automotive specialities to our location for the benefit of our service, repair and restoration customers. We welcome you to stop by to check out our automotive facilities located in Framingham, Massachusetts and to meet your expert automotive technicians. Our hope is that once you do, you will recognize that we are not your typical automotive repair business and delivering excellence is the core foundation of our mission.